Protect artwork by sealing backing boards to frames. 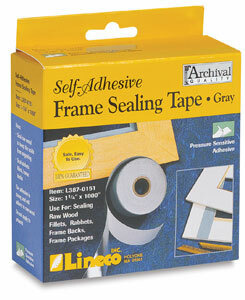 Lineco Frame Sealing Tape provides an effective framing barrier for raw wood rabbets, fillets, and filler boards. This pressure-sensitive tape attaches firmly to almost any surface.